Santa Clarita Custom Air installs Air Scrubber Plus systems to clean and purify the air inside homes, offices, labs, cleanrooms, and hospitals throughout the San Fernando and Santa Clarita Valleys. 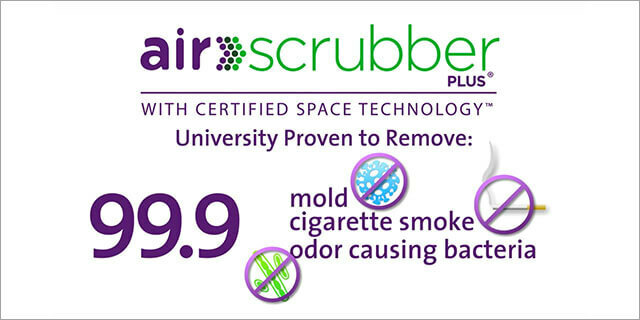 Air Scrubber Plus filtration systems are effective at removing up to 99.9% of airborne contaminants, such as bacteria, mold, dust, pollen, odors, and cigarette smoke, making it ideal for those with asthma, allergies, and respiratory problems. Air Scrubber Plus uses proprietary ActivePure technology to treat and purify the environment every time the HVAC system is turned on. Additionally, while germicidal UV light only reduces airborne contaminants that pass directly through its light rays, ActivePure sends scrubbers out into all ductwork-connected rooms in order to reduce toxins in both the air and on surfaces. Santa Clarita Custom Air has provided comprehensive heating, air conditioning, and ventilation services to residential and commercial customers in Encino, Woodland Hills, Santa Clarita, Valencia, Stevenson Ranch, Newhall, Saugus, and surrounding cities since 1990. We have highly trained service technicians with years of experience, who are experts at customizing and installing Air Scrubber Plus systems for central HVAC systems. Call us today and tell us what your indoor air quality goals are; we'll help you find budget-friendly solutions to achieve them. The installers showed up on time. They worked effeciently and were finished in half the time I thought it would take. The finished unit looked fantastic.